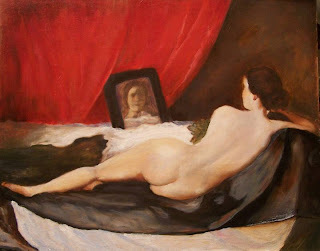 Venus At Her Mirror, Painted after Velazquez. The original painting of Venus at her mirror was done by velazquez in 1500's. The original painting had cupid holding the mirror for her but I decided to leave him out.